With the summer break and the last major in 2018 done and dealt with, there are just a few more notable tournament before the end of this year. One of them is definitely StarSeries & i-League Season 6 which is set to start in just a couple of days from now. StarSeries Season 5 was played back in June when NaVi took home the big W after defeating NRG in the finals. The tournament format hasn't changed drastically so we're up for a huge number of matches yet again. All participating teams are known and we even have the 1st round matchups. But, more on that down below in the Schedule and Results section. 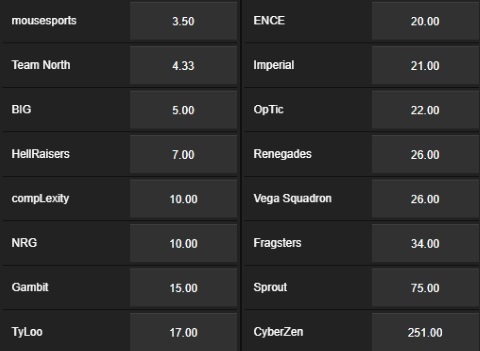 For now, let's concentrate on StarSeries & i-League Season 6 betting odds and options! 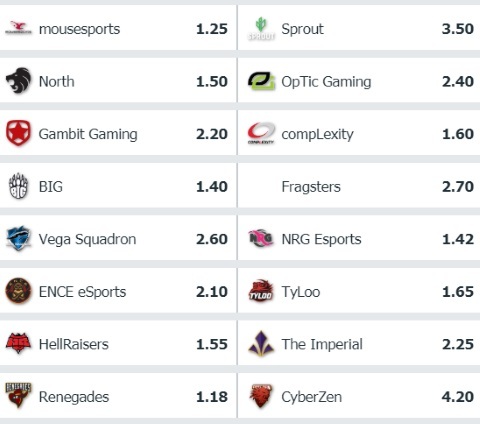 If CSGO gambling is your thing, then pay attention. Everything said after this point will definitely give you more information and increase the chances of winning your bets. Starting off with the tournament format, you can keep posted at the current standings of the team. 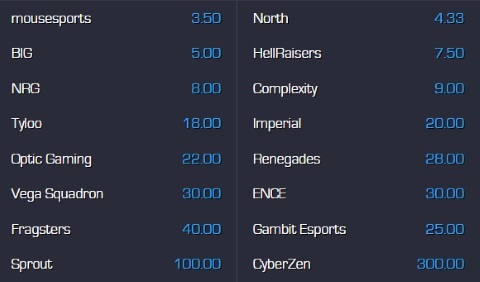 Remember, this is a 16 team Swiss System format with 5 rounds of matches deciding the playoffs placement. The only real difference in contrast to Season 5 is the fact all group stage matches are now Bo1 instead of Bo3. This will bring more competitiveness very early on which will add to the charm of playoffs matches.